Bring a Scandinavian Christmas atmosphere in your home with these ornaments from Danish brand Ferm Living, which are available from Le Souk. This limited edition Christmas collection is exclusively designed for Danish warehouse Magasin. The collection is available in only a limited number of shops and we are proud to have these beautiful items in our collection. 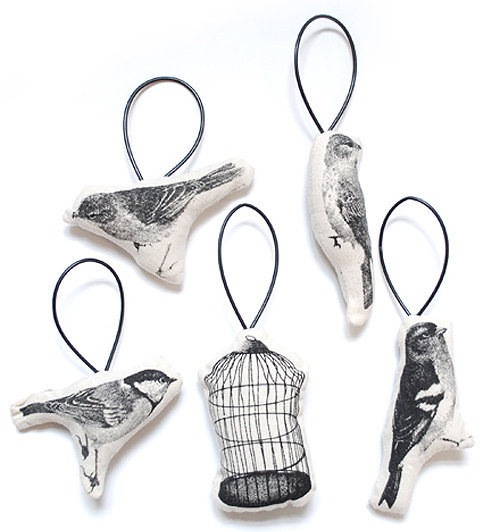 The very cute birds ornaments (above) are made from cotton. 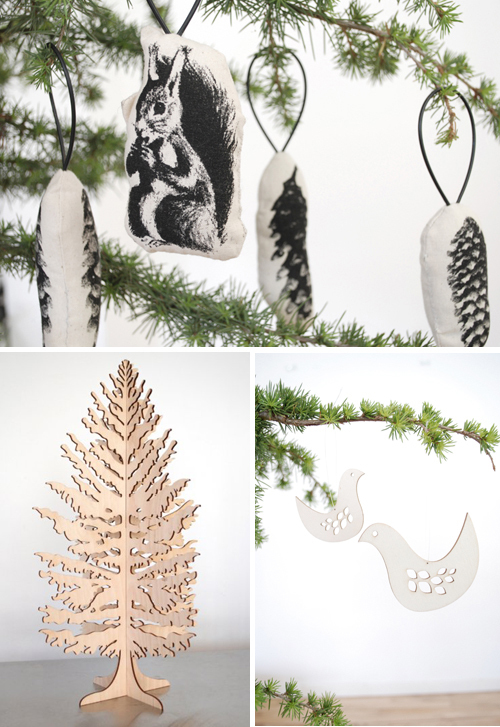 The cones and squirrel ornaments (top image) come in a set of five ornaments, the plywood Christmas tree (left image) is available in natural and white, the wooden Birdie ornaments (right image) are available in two sizes. 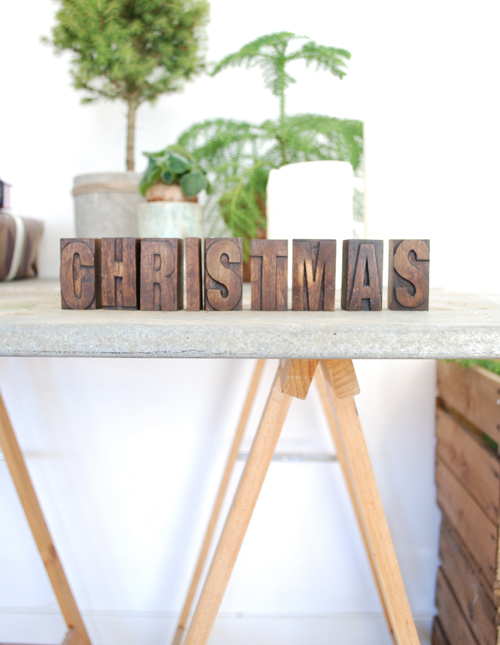 These wooden Christmas letterpress letters are the perfect Christmas ornaments. Great to give as a present! All these ornaments match very well with the wooden birdhouse ornaments and the wooden teddy bear ornaments. Sometimes less is more on a tree. I like the natural theme – simple lines and color – I give them a 10!